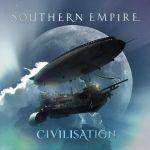 More information: Following the success of their debut album in 2016, the band release ‘CIVILISATION’. Sean Timms: "It's always exciting to release a new album and this one is particularly special as it marks the first time a band member (apart from myself) has written one of the songs. Album opener 'Goliath's Moon' has been written by our guitarist Cam Blokland and it's a smash! There's also a re-worked, extended version of a song I wrote with Mark Trueack for the abandoned Unitopia album titled 'Crossroads', a piece I worked on with Steve Unruh from Samurai Of Prog called 'Innocence & Fortune' and another 'epic' called 'Cries For the Lonely' which drummer Brody Green had a huge hand in creating, as did all of the guys. This is truly a band effort and we can't wait for you all to hear it!"